21st Century Fox-owned Star India has successfully bid €2.15 billion for global Indian cricket rights, fending off competition from 14 other bidders including Facebook and Disney’s BAMTech. Star India has secured global media and digital broadcast rights for Indian Premier League cricket for the five-year period from 2018 to 2022, after submitting a winning bid of INR 16,347.50 Crore. Star India said 14 bids were received across a number of regional categories from rivals including Facebook, BAMTech, Sony Pictures Networks, Arab satellite service provider beIN, Indian telecoms provider Airtel and South Africa-based telco Econet Media. The other bidders were: Indian media group, Times Internet; Multichoice South Africa-owned Supersport International; sports rights owners DAZN / Perform Group; stadium WiFi provider Followon Interactive Media; Indian cloud storage and data centre company Reliance Jio Digital Services; Showtime Arabia parent company Gulf DTH FZ; and South Asian OTT content provider Yupp TV. 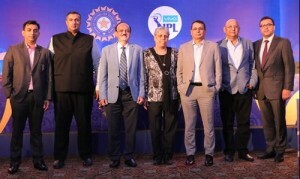 “We are honoured to be selected as IPL’s Global Media Rights Partner and we thank the Board of Control for Cricket in India (BCCI) for conducting such a transparent process,” said Star India chairman and CEO, Uday Shankar. BCCI acting president, C K Khanna, thanked all the bidders that participated in the process and said “we have ensured that transparency of the highest form was maintained throughout the process”.